The global blood glucose monitoring device market was valued at USD 1.31 billion in 2017 and is anticipated to grow at a CAGR of 8.0% during the forecast period. Blood glucose monitoring devices include self-monitoring devices that are frequently used by the people suffering from diabetes. The major demand for these devices is majorly observed in the countries with limited health care resources. These devices comprise of glucose meters, test strips that provide with the accurate information of the patient’s health by the help of system accuracy, improvised technological trends, and non-financial barriers. The global blood glucose monitoring device market is majorly driven by the rising prevalence of diabetes in all age groups across the globe. Furthermore, continuous technological advancements, and rapid growth in the aging geriatric population to also contribute for the growth of this market this market in the near future. Additionally, increasing need real-time diagnosis of sugar level of the individual, and increasing awareness for continuous glucose monitoring over traditional monitoring techniques. However, high cost of the diagnosis techniques, and unformed government regulation for increasing the adoption of blood monitoring devices in the developing countries. Additionally, innovations in glucose monitoring spaces that has promoted the use smaller sized devices for the consumers convenience. Also, improved non-invasive technique or semi-invasive techniques to also promote the market growth in the coming years. Thus, the innovation and increasing demand for the monitoring device to primarily drive the blood glucose monitoring device market growth in the coming years. The global blood glucose monitoring device market is segmented on the basis of product type, end use and geography. Based on product type, the global blood glucose monitoring device monitoring market is segmented as Single Point Blood Glucose Meters (SBGM), Continuous Glucose Monitoring Systems (CGM), Glucose Monitoring strips, and Lancet. Continuous glucose monitoring (CGM) to be the dominating segment and is the fastest growing segment owning to increased consumer demand for CGM, and increasing number of populations suffering from type I & II diabetes globally. Additionally, user friendly CGM devices has also influenced the segments market growth during the forecast period. However, the increasing price of CGM devices and no proper reimbursement regulations by the government would impede the market growth for this segment in the coming years. 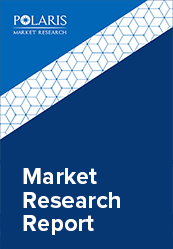 Geographically, the glucose monitoring device market is segmented across North America, Europe, Asia Pacific, Latin America, and Middle east & Africa. The U.S. blood glucose monitoring device market to dominate the market in terms of growing awareness in the population for the use of BGM devices. While, China is considered to the fastest growing market due to increasing healthcare spending by the citizen, and growing number of populations suffering from diabetes, increasing number of research and development for developing new BGM devices by the company, and changing life style of the population. Furthermore, China is expected to grow sale of BGM devices followed by India, Brazil, and Russia.